Tee for two (year olds)? 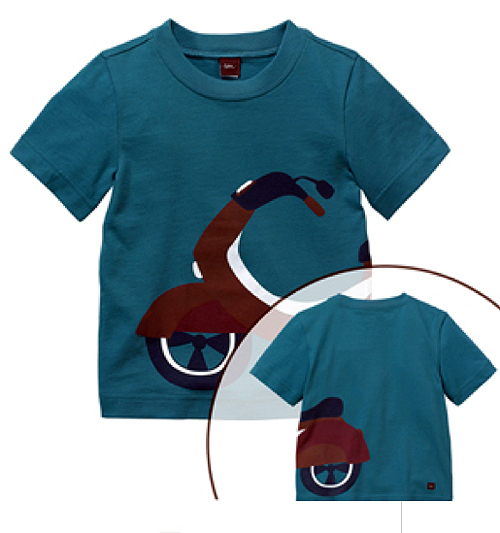 These scooter-licious shirts are available for ages 3-6 months all the way to 8 years old. They are available at Tea, starting at $19. 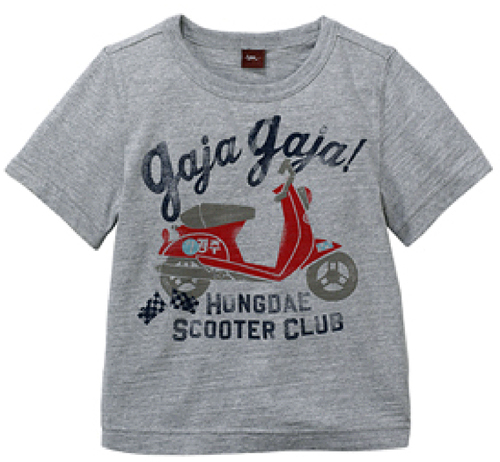 This entry was posted in Clothing and tagged boys clothing, scooter, t-shirts, tea clothing, vespa by Tracy. Bookmark the permalink. Is it supposed to Hongdae or do you think they misspelled Honda? I wouldn’t even try to guess!